The “Ice Bucket Challenge” has made millions of dollars for Amyotrophic lateral sclerosis (ALS) awareness, which is a good thing, but at some point in time celebrities got involved and the need to “one up” the next guy began. Something pure was altered, and with many people (I make no claims as to the Foo Fighters’ motivations) the event seems to have turned into narcissism masquerading as charity. Perhaps the best case study in examining the line between self-congratulation and charity goes to the Foo Fighters. Since when did the “Ice Bucket Challenge” double as a contest of creative wits? Pride loves the ‘Ice Bucket Challenge.’ When a charitable event becomes about who “wins” or who is the most “brilliant,” then something has gone wrong. When the headlines zero in on how “epic” your “Carrie” tribute was as instead of how “epic” it would be to cure ALS, then something has gone wrong. It is a joyous thing that the Foo Fighters’ effort will result in more donations for a good cause. I would much rather live in a world run by the eager participants of an ‘Ice Bucket Challenge’ than a world run by Islamic terrorists who behead American photojournalists. However, it is probably a good idea if everyone stepped back and objectively asked themselves what it says about our culture that charitable causes need to contain such a stark “Look at me!” element in order to go viral. 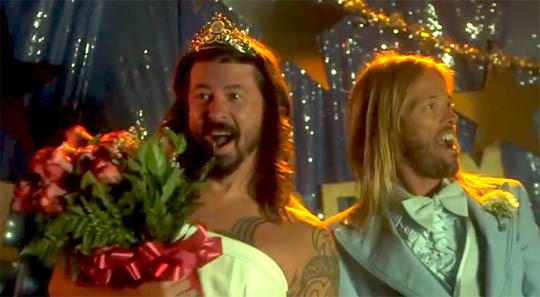 Thank you, Foo Fighters, for donating to a good cause. And thank you to everyone whose acts of kindness are only known to them and God. 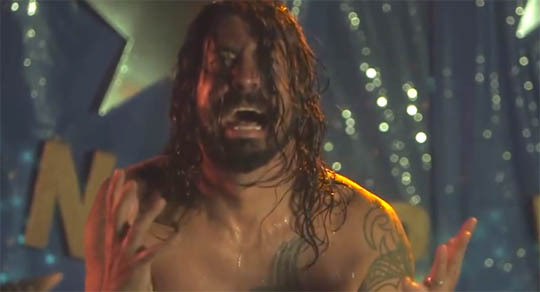 David Grohl has had many self deprecating spoofs in videos and what not; it’s only natural they style their challenge this way. Plus he accepted a challenge from another; and challenged 3, including Steven King, the author of Carrie. The Foo fighters didn’t declare themselves winners, it was the publications listed; these publications are the ones trivializing a good thing. Instead of declaring a winner, more should be encouraged to join. David Grohl has donated time, money and his talent over the years to AIDS charities and autism causes; those websites/publications should just say “thank you” and provide a link to ALS for donation. Very true. I tried to be as careful as possible with the wording to emphasize that I’m not saying I have a clue what Dave Grohl’s motives were — aside from being a really nice guy. I can’t get inside his head. I’m actually a big fan of the Foo Fighters’ music, I’ve seen them in concert in Pennsylvania and Washington, D.C., etc., so writing this was difficult. However, on another level these celebrities know exactly how the media will react, which is why the ‘Ice Bucket Challenge’ has often turned into is a “look at me” contest, with the funniest or most over-the-top videos getting the most exposure. Side note: The other thing that rubs me the wrong way on this is the “challenge.” You’re being publicly called out, so what if you don’t accept the challenge? Are you suddenly a bad guy? It just often feels like guilt is being used to spur someone on since the shared video makes clear that everyone knows you’ve been asked to donate. It’s like when people “dare” their “real friends” or whatever on Facebook to share some sort of story that is important to them. Sorry, but I refuse to let you guilt me into sharing something. Celebrities across Australia are jumping on the bandwagon ioo. It is for a good cause. Apparently you don’t have to accept the challenge as long as you still donate some money to the charity. I was challenged just a few hours ago, and I simply replied with “Matthew 6:1-6.” The response was “Fail,” which actually proves my point. I said that if the Book of Matthew was a “fail,” then I’ll gladly fail. It’s definitely a worthy cause, but like you said, with a lot of people, it’s become less about altruism and more about “look at me.” Especially with celebrities.